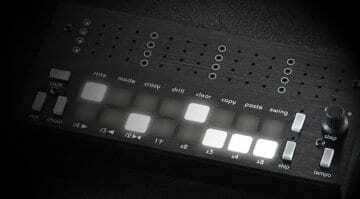 4 voices, 16 samples per voice with independent pattern lengths, a low pass filter and a bitcrusher. 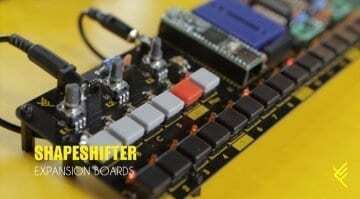 And then a breadboard on which to develop your own expansions for the Shapeshifter Open Hardware DIY kit. 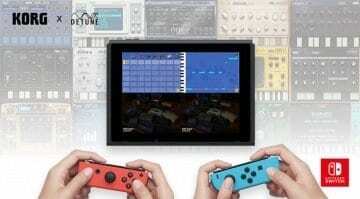 New version 1.2 of Korg Gadget on the Nintendo Switch introduces the idea of collaboration with up to 4 players multiplayer composition mode and a cool new song transfer feature. 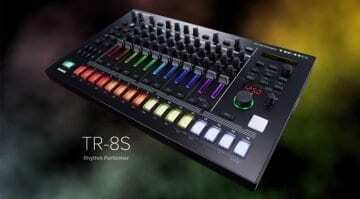 Arturia is ready to release the DrumBrute's little brother. 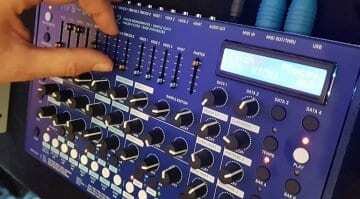 DrumBrute Impact is compact, has fewer sounds but picks up an FM drum track, Brute distortion and a very tasty sub-300 Euro price tag. Now with video! 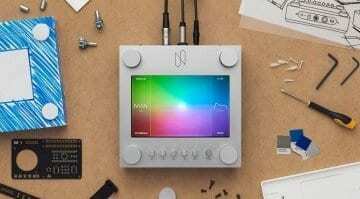 The NSynth algorithm extracts characteristics from a handful of sounds to interpolate a gazillion others letting you play in the space between instruments. It's experimental, open source and backed by Google. 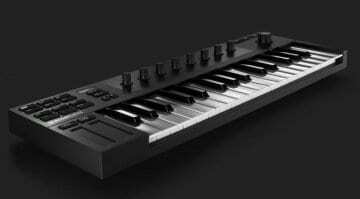 We can't let a week go by without another Behringer synthesizer rumour. 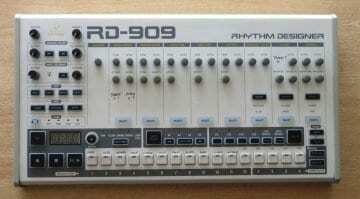 This time they were spotted playing with a Roland Jupiter 8 and a TR-909 - what could it possibly mean? 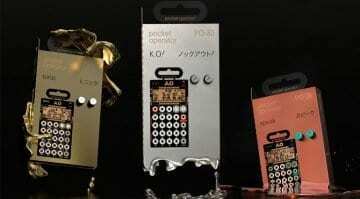 Two new Pocket Operators for the "Metal" series which includes the existing PO-32 Tonic. Both are samplers, the PO-33 K.O! 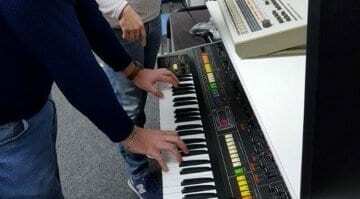 is purely a sampler whereas the PO-35 Speak likes to mangle the spoken word. 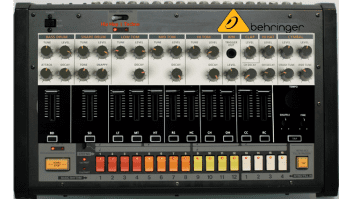 From the people who brought you the Crazy8 sequencer comes an 8 track, 16 pattern drum sequencer called Crazy8Beats with MIDI and CV connectivity to run all your rhythms. 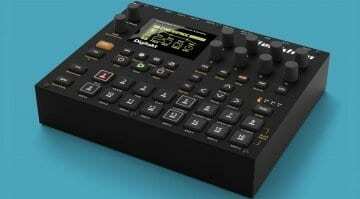 The Digitakt is an 8 track sampler and drum machine that's ready to sequence all your gear. 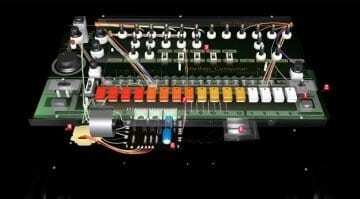 Look inside a Roland TR-808 – in 3D! 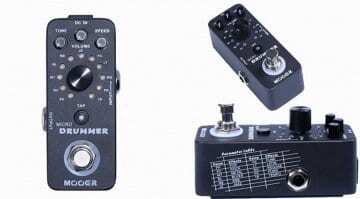 This dinky little drum pedal has plenty of rhythms squeezed into its diminutive case. One for all you solo artists, perhaps? 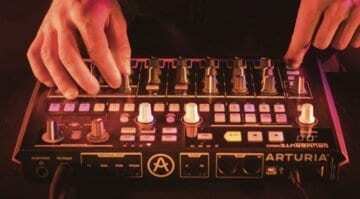 Behringer planning new analogue drum machine! 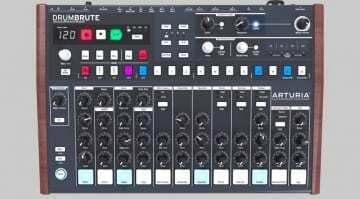 Here's the real official information on the DrumBrute, Arturia's kicking new analogue drum machine that makes ladies dance.